Mr. Dalit, 17 year’s old young man living in a slum area was introduce to me by Mr. Surykant one of Vet Med’s ex-student. Surykant is doing small business in goats. He is also proud to be a Vet Med’s volunteer. He is from Buddhist family but now a day really started talking about Jesus as he heard it in our self-reliant training 7 years back. Suryakant told me that his spirit decided to introduce Mr. Dalit to me to get some self-reliant educational guidance and help for his future life. Mr. Dalit is a smart in studies but his mother’s condition is so poor to help him for getting the training in computer in web design as he wish. So he started working as a labourer in farms and gardens and some how met with Suryaknt. Surykant felt in his heart that he should get chance to stand on his feet so then he introduces him to me. 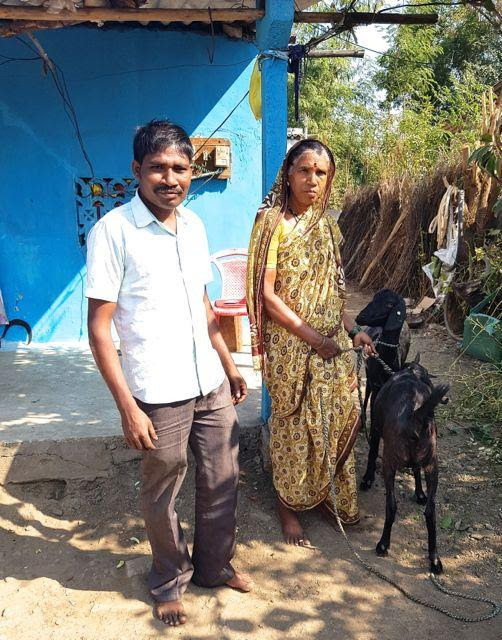 I met them in October 2018 the mother of Mr. Dalit living in a very small house near railway gate on the Kalmeshwar road. While talking to her I find out that she really wants to help her son getting the education in computer but her hand to mouth condition is not allowing her to do so. Suryakant requested me to pray for the family and I surprised but after prayer when I started my journey towards home my mind was thinking about this lady and her son. 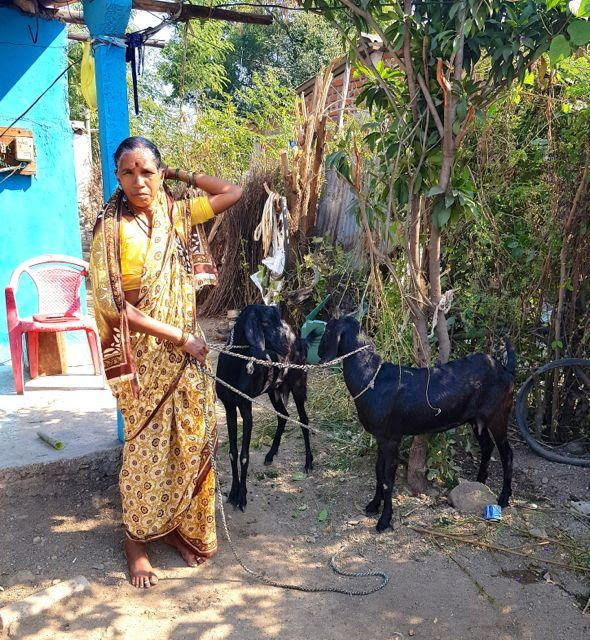 When Mr. Loren told me to find out needful family for the goat project, I really remember this lady and her son Dalit. Actually by helping her I really wanted to help Dalit for standing on his own. 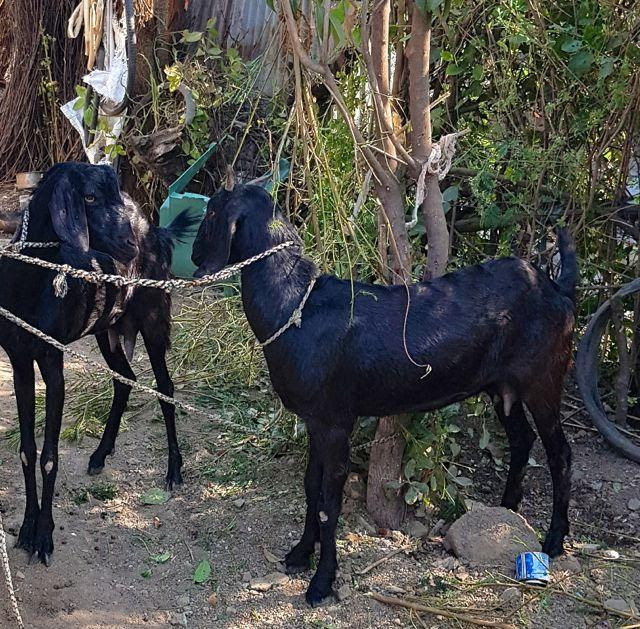 So prayerfully I decided to help and requested to Suryakant for finding two goats (females). Soon after Surykant phone me and we arranged two pregnant females for this family so that she can earn some extra income to help her son in getting his computer training for standing his own. I really love the moment of watching real joy on faces of the people who gets such special gift. Here also both of them are very happy and I really felt satisfied for helping one more young man to accomplish something to be self-reliant in his life. This is just one of many projects of gifting that we can do because of your generous giving.